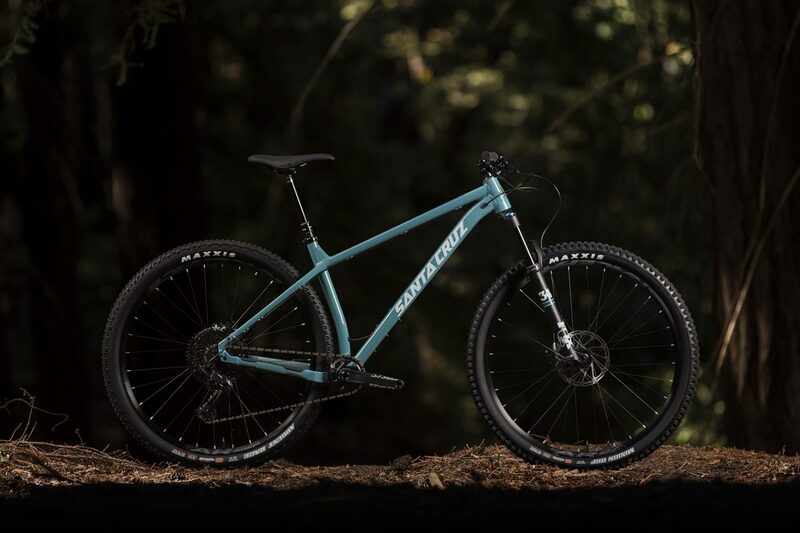 The Santa Cruz Chameleon is a capable, versatile, and affordable aluminum mountain bike. Now you can get everything that made the Chameleon great with carbon frame that is just as versatile as the original. The Carbon Chameleon maintains the geometry of the aluminum model but adds in a few nifty details. The internal routing is clean, there are hidden bosses for direct mount bashguard, dropouts allowing you to switch from 27.5+ wheels to 29’r wheels, and the frame is made up from SCB “C” carbon layup. The Chameleon C offers clearance for 27.5 x 3.0″ or 29 x 2.5″ tires. 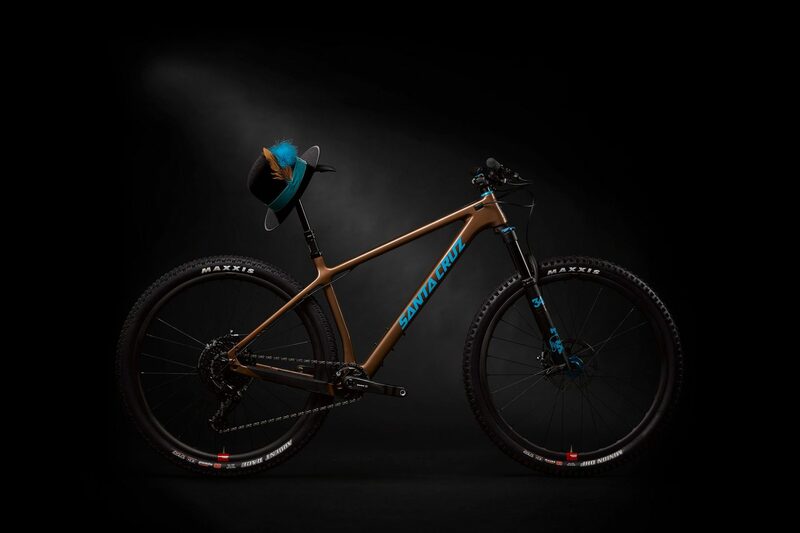 Santa Cruz built the bike up with some cool pieces from Hope to deliver a colorful parts kit, complete with turquoise Hope hubs and a matching headset, they look great against the brown paint scheme. Dropout options allow for geared or single speed use and the threaded bottom bracket should keep maintenance easy. There’s only one water bottle mount with a triple bolt cargo cage mount under the downtube. 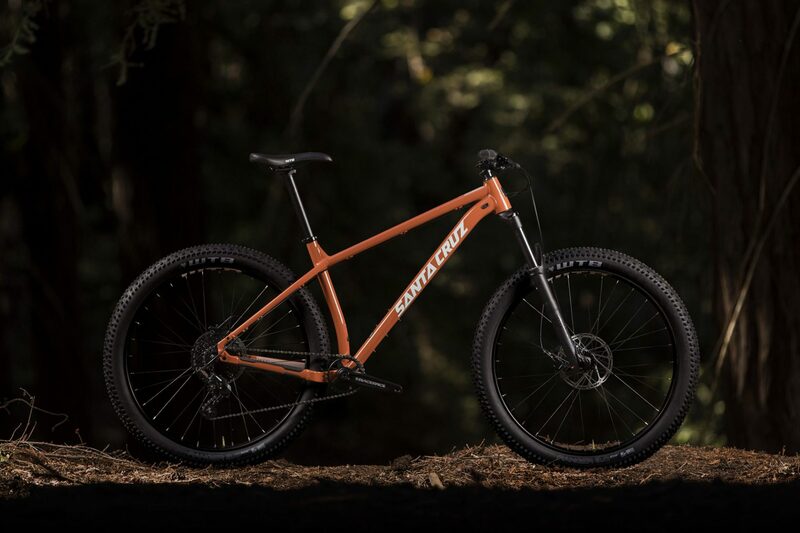 The Carbon Chameleon is offered in two builds in both wheel sizes, the SE bikes will include Santa Cruz’s own Reserve carbon wheels in addition to color matched Hope hubs and headsets. Pricing starts at $1,599 for the frame only, and $3,799 for the Chameleon Carbon C S or S+ (29 or 27.5″ wheels). The SE Reserve models go for $5,699 in either wheel size. I have to say, I’m a little disappointed with the specs. The Carbon SE for $5,700 is a pretty weak spec for the money, GX on a hardtail pushing $6k seems low ball.